Baby Mia is missing. Estelle, her mother, is found crashed in a ravine, far from home. Her ear has been shot off and she has amnesia! When she awakens in the hospital all she can remember is blood, lots and lots of blood. Things start returning to her slowly, just bits and pieces. She remember waking up and Mia being gone, straight out of her crib. She remembers going to the police station to tell them but never telling them. She remembers being sad and having bad feelings about her baby. She remembers her crying, always crying. And she remembers blood, lots and lots of blood. We progress in the story as Estelle is in a mental hospital, slowly remembering. She’s the main suspect but did she do it? This book was a very timely read since postpartum depression has been in the news lately. Estelle is definitely suffering and never treated so you have to wonder, did she do something to Mia? But if not her, who? That makes you turn page after page to get to that conclusion. It’s very intelligently written and I loved watching her find her footing and fight for what she knows is the truth at last. I don’t like the comparisons between this and Gone Girl. 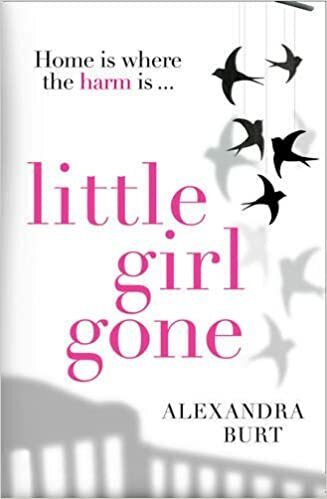 I’m actually tired of books being touted the new Gone Girl. This may have gone and girl in the title but it’s not that book. It’s stand expertly on it’s own. I look forward to more books by Alexandra Burt.